What’s not to love about diving in Australia? 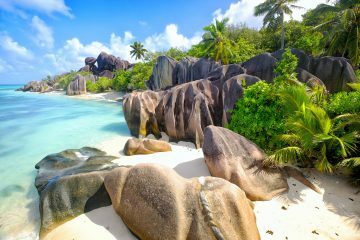 This gargantuan continent has underwater landscapes like coral reefs, seagrass fields, caves, and more all hosting a variety of diverse wildlife. Think parrotfish highways, migrating whales, miniature nudibranchs, and much more. Of course, the best way to experience the versatility of this country’s underwater landscape is from a liveaboard boat. 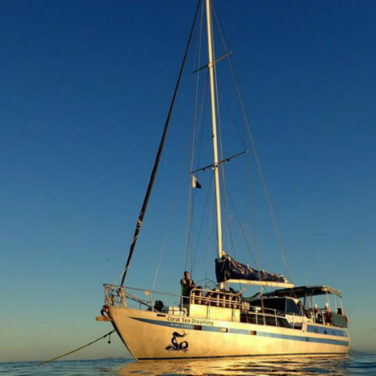 Of course, a great way to experience the versatility of this country’s underwater landscape is on one of the best Australia liveaboard trips. No matter what type of diving you’re into, you’ll find it between the Great Barrier Reef on Australia’s east coast and the Ningaloo Reef outlining the west. If you’re looking to dive with large underwater life like Humpback whales, dolphins, and whale sharks, the coast of Western Australia is best for you. If you crave the brightness and life around technicolor coral, head to the Great Barrier Reef. Anywhere in between is sure to offer a unique dive experience seen by few others around the globe. Most boats in this region offer 3 to 5 day itineraries. But, adventure seekers will want more time in the world’s largest coral reef system. The Spoil Sport offers a variety of 8 day long adventures, perfect for a more in-depth exploration. Options include expeditions in the Great Barrier Reef’s far north, the Coral Sea’s farthest flung sites, and citizen science programs studying minke whales. These trips are best for advanced divers, thanks to the remote nature of the destinations they visit. This boat also offers full support for technical and rebreather divers, and facilities for underwater photographers. 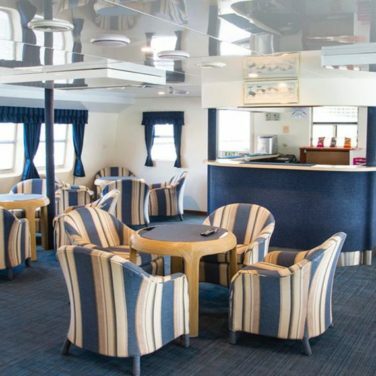 Photographers can make the most of their time in the region aboard the Spirit of Freedom. Photo-friendly features include separate rinse bins, a camera table with blow dryers, and a workstation with charging points. Plus, a selection of itineraries lasting up to 8 days takes diving on the Great Barrier Reef to the next level. Less visited areas like Tijou Reef and Raine Island are great for experiencing Australia underwater without the tourist crowds. Fewer divers always mean more wildlife! 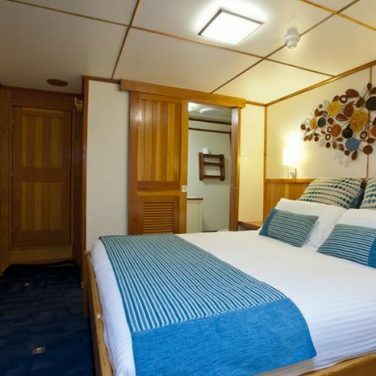 And, a range of cabins from shared to luxury make this boat an excellent choice, no what budget you’re working with. 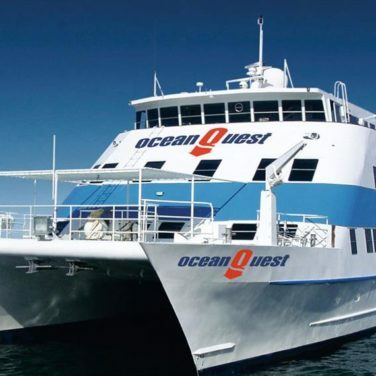 Whether you’re a non-diver, a newbie, or a pro, the Ocean Quest is a great value for your money. This permanently moored vessel is the region’s most flexible option thanks to daily speedboat transfers and stays starting at just one night. A full range of courses beginning with Discover Scuba make this a great choice for new divers. And, more experienced buddy teams can enjoy up to 5 self-guided dives per day. 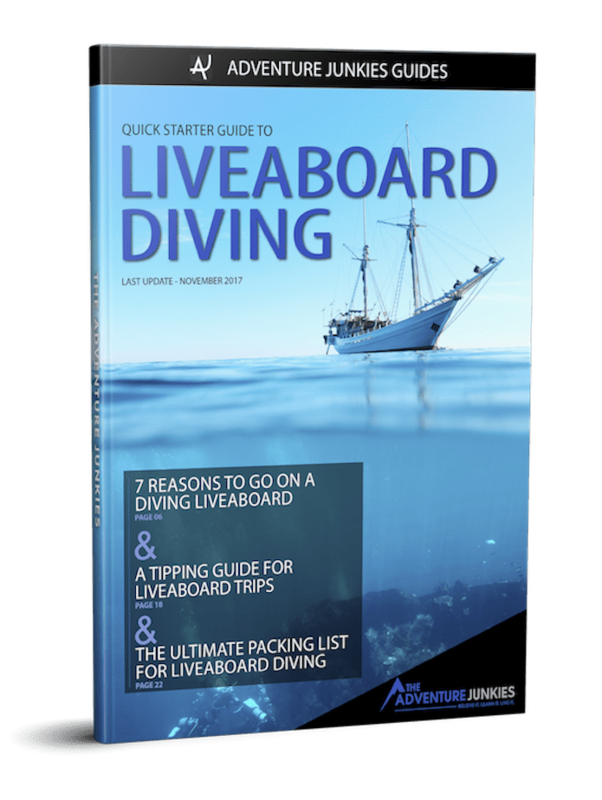 Extras like shark diving, fluorescent night diving, Nitrox, and specialty courses are sure to keep even the most seasoned liveaboard divers entertained. 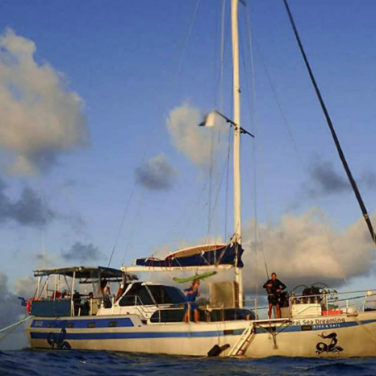 If you are traveling with non-divers, this boat is your best bet. 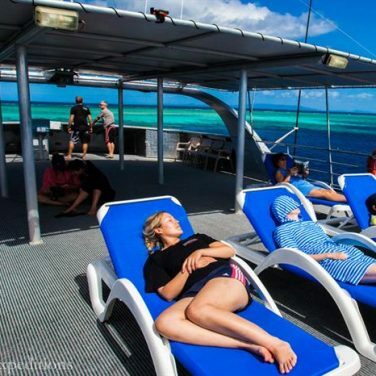 Daily snorkeling sessions, sun and shade decks for relaxation, and free internet keep guests of all kinds entertained. 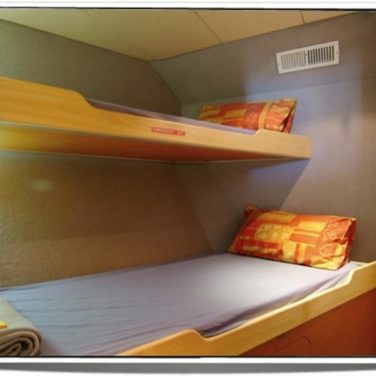 Plus, you can expect top-rated food, spacious cabins, and a super friendly crew onboard. The Scubapro III offers special discounted rates for snorkelers, and equipment is provided at no cost. Scuba divers in your group will have plenty to do, too with 4 tanks per day including a night dive. And, upgrades like Nitrox and underwater camera rental are available to take your dives to the next level. 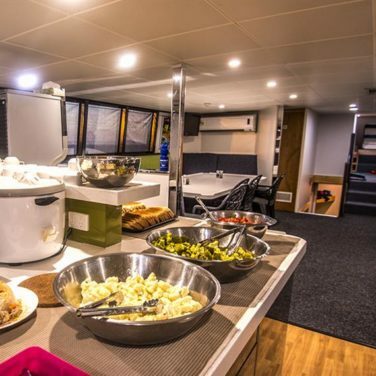 This boat offers 2 day trips, perfect for weekend warriors and first-time liveaboard divers. After all, not everybody can get away for a week at sea! 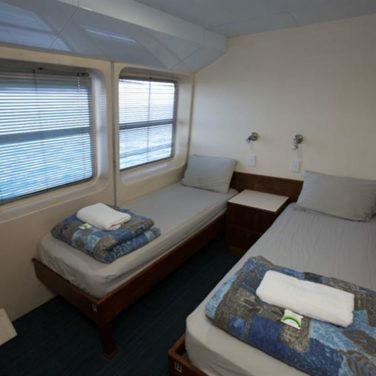 Flexible cabin options including a dorm, free dive and snorkel equipment, and different dive packages to choose from make this vessel a great pick for budget travel. And, with a maximum of 12 passengers onboard, you’re guaranteed uncrowded dive sites and plenty of attention both above and below water. To top it off, non-divers in your group can experience a quick “try dive” at no cost. Beginner. There are plenty of challenging dive sites to be found in more remote stretches of the Great Barrier Reef and Coral Sea. But, this region has plenty to offer newly certified divers, too. 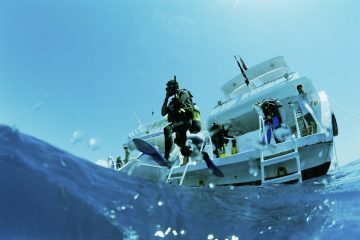 Most boats offer courses beginning with Discover Scuba. And, conditions around Cairns and Port Douglas are perfect for newbies. 2 to 7 days. The Great Barrier Reef is a short boat ride from Australia’s east coast, making it an ideal for quick trips. If you can only get away for a weekend, plenty of liveaboard itineraries in this region last just one night! Experienced divers and adventurers can book longer expeditions lasting up to 8 days for a more thorough exploration. 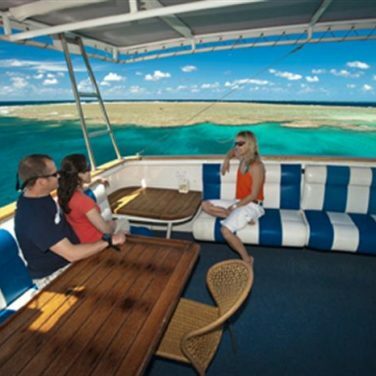 Liveaboards visit the Great Barrier Reef all year round. But, when to visit depends on what wildlife you hope to see, and what conditions you prefer. Your best chances of spotting a whale shark or manta ray are between March and July. And, Minke whale sightings peak between June and August. But, these “summer” months are Australian winter and the coldest time of year for divers. 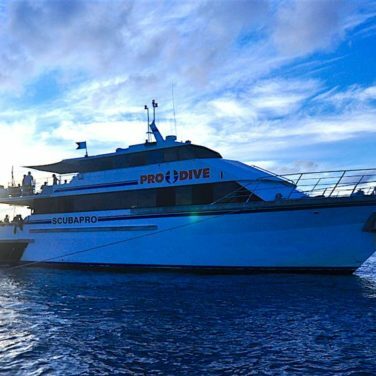 The Great Barrier Reef is a tropical destination, and liveaboard divers should plan for hot weather. But, ocean temperatures change dramatically throughout the year, ranging between 71 to 86° F (22 to 30° C). During Australian summer, a skin suit is plenty of protection, but winter months call for a 3mm or 5mm full suit for extra warmth. Like water temperature, visibility in the Great Barrier Reef varies by season. This region’s water clarity is generally excellent, between 82 to 131 feet (25 to 40 meters). But, colder months can bring massive plankton blooms and reduced visibility. The water might not be crystal clear, but all that plankton increases your chances of diving alongside whale sharks, mantas, and minkes. A visit to the world’s largest coral reef system is on every diver’s bucket list. 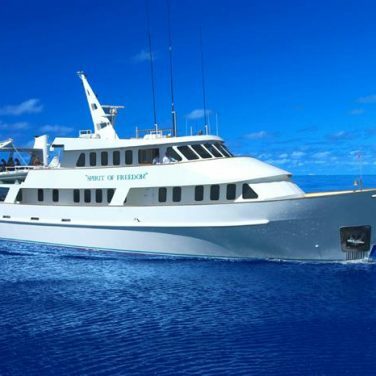 And, the best way to visit the Great Barrier Reef is via liveaboard. This region is famous for its incredible coral cover and up close and personal encounters with wildlife. Sharks, rays, whales, macro, and more are all just a part of the package. Best of all, this underwater paradise is a quick 90 minute boat ride from Australia’s coast, making it accessible, even for the shortest of vacations. Liveaboard guests in Australia can expect boats that focus on underwater activities, not luxury amenities. 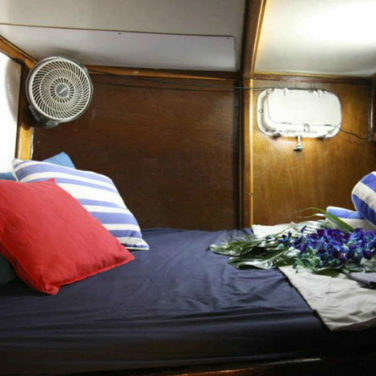 Buffet meals, small but comfortable cabins, and sociable sun decks are the norm. But, with one of the planet’s most biodiverse environments overboard, you’ll want to spend the majority of your time in the water anyway. In fact, most boats offer 4 or 5 tanks a day and unlimited snorkeling. Whether you’re new to liveaboard diving or a seasoned pro, the Great Barrier Reef has plenty to offer. A variety of itineraries custom fit to photographers, adventurers, and newbies, are available throughout the region. And, plenty of onboard courses combined with ideal diving conditions make this a great place to learn, too. Whale sharks are spotted in the Great Barrier Reef year-round. But, you are much more likely to find these ocean giants cruising in the shallows during months with cooler water. During Australia’s winter, they gather here to feed on their favorite meal, plankton. The sharks are often seen from the surface, but keep your eyes out in the blue, especially during safety stops! Reef mantas are more common in these waters, but their giant oceanic cousins visit the Great Barrier Reef, too. Cleaning stations are the best place to spot these graceful filter feeders. But, don’t count out chance encounters in open water. You’ll have the best odds during the coldest months of the year when plankton is blooming. Dive sites beyond the Great Barrier Reef, in the Coral Sea, are best for spotting migrating Minkes. But, they make appearances all over this region during the coldest months of the year. Between June and August, the whales visit these waters to mate and feast on their favorite kind of plankton, krill. Are you hoping to get scuba certified while on vacation? 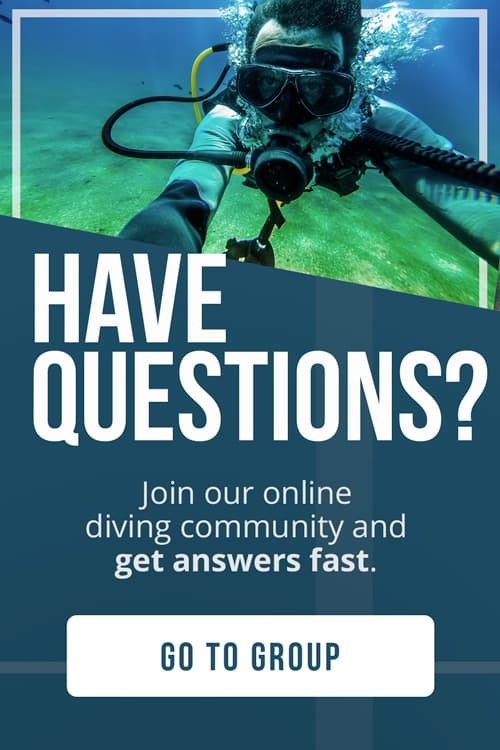 Or, are you looking to take your dive education to the next level? Most boats in this region offer courses beginning with Discover Scuba. If you’re already an experienced diver, conditions here are perfect for specialty courses like underwater photography and Nitrox. With 3,000 individual reefs, The Great Barrier Reef is a divers dream. This vast coral structure is visible from space, and one of the most biodiverse places on the planet. 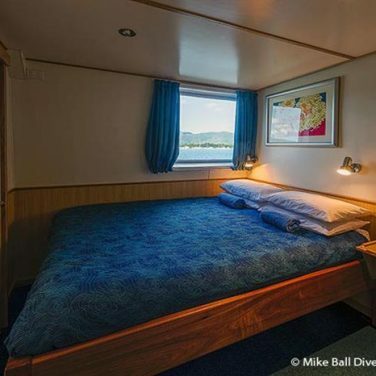 So, it’s no surprise that this is a liveaboard diving destination with something for everyone. 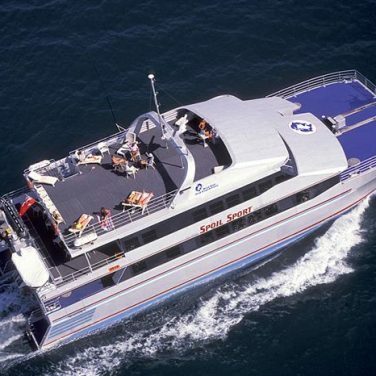 Many boats offer 3 day trips around Cairns and Port Douglas with 12 to 15 tanks in total. These itineraries are perfect for newbies and are a top pick for liveaboard first timers. Coastal sites often have the calmest conditions, so they are an excellent choice for Discover Scuba courses and snorkelers, too. The top pick and best value for exploring the Great Barris an extended 4 to 5 day trip. This type of itinerary allows plenty of time to complete a dive course, visit a larger geographic area, and even venture out into the Coral Sea. Minke whale expeditions typically last at least 4 days, as do trips to the more remote outer reefs. If you can’t get away for long, 1 and 2 day voyages to the region’s closest sites offer a small taste of what the Great Barrier Reef has to offer. These trips don’t go too far from the coast, so you won’t see as many pelagics. But, don’t be discouraged! There are plenty of awesome sites close to shore. You’ll still see schooling reef fish, incredible coral gardens, and maybe a shark or two. If these quick trips aren’t enough adventure for you, choose a longer itinerary with up to 8 days at sea. These voyages head north into the Great Detached Reef and beyond, often stopping at secret and unmapped sites. Here, you have the best chances of coming face to face with sharks, whales, and magical manta rays. Thrill seekers can get their blood pumping with fast-paced drifts, caves, and plummeting walls. Underwater photographers are guaranteed a chance to snapshot Australia’s most beautiful marine wildlife. Some of the Great Barrier Reef’s best and most accessible sitesthe are off the coast of Cairns. Divers can expect vertical walls, swim-throughs, overhangs, endless fields of hard coral, and plenty of fish. The colorful reefs around Flynn and Milln are perfect for spotting reef sharks, sea turtles, and macro critters. These sites are excellent for night dives too, thanks to their calm conditions and easy to navigate landscape of bommies, pinnacles, and sand. Further offshore, Pellowe Reef promises more pelagic action. Schooling barracuda, Napoleon wrasse, and jacks make regular appearances. Manta rays and whale sharks are often spotted during colder months, as they migrate through the region. Further north, dive sites close to Port Douglas offer some of the region’s best conditions. Norman, Saxon, and Hastings reefs are popular stops for liveaboards thanks to their towering bommies and delicate coral gardens. These waters are home to plenty of big fish, too. Bottlenose dolphins, barracuda, reef sharks, and turtles are frequent visitors. Photographers should plan for macro and wide-angle shots, with tons of tiny creatures hiding out in the shallows. Nudibranchs, small crabs and squat lobsters, and rare species like the fire flame shell are favorite finds. This long fringe of coral forms the outermost edge of the Great Barrier Reef. So, it’s no surprise that it’s one of the region’s most biodiverse areas. The Ribbon Reefs are shallow and well suited for beginner divers. But, there is no shortage of excitement here. The most famous dive site in the area, Cod Hole, is known for incredible encounters with giant cod and grouper. Whale sharks, manta rays, massive schools of pelagic fish, and reef sharks pass by in the blue here. And, lucky divers might come face to face with dwarf minke whales during Australia’s winter months of June and July. Of the reefs in the Coral Sea, Osprey is the farthest north. And, because it sits just on the edge of the continental shelf, this reef is a hotspot for passing pelagics. Manta rays, reef sharks, sea turtles, and whale sharks all visit cleaning stations here, drawn in from the open ocean. Shoals of jacks, barracuda, and tuna gather close to the dropoff too, attracting rare predators like bottlenose dolphins and marlin. Most liveaboards visiting Osprey will make a stop at North Horn, hoping to spot reef sharks, silkies, and even the occasional hammerhead. Photographers should plan for plenty of wide-angle action and excellent visibility. 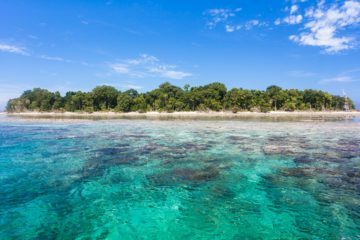 Plunging walls, strong currents and upwellings, and superb visibility define Bougainville Reef. Common sights include large schools of bumphead parrotfish, unicornfish, fusiliers, and jacks. Sharks, mantas, and turtles are easy to spot at cleaning stations and cruising along the reef’s edge. And, whale sharks migrate through these waters between March and September, so keep one eye out in the blue. This rarely visited hotspot for big fish also features some of Australia’s healthiest hard corals. The colorful backdrop and pelagics are perfect for landscape photography. Challenging conditions and a remote location make this area best for advanced divers and thrill seekers. Only visited by a handful of liveaboards, and only when weather conditions permit, this is one of the region’s least dived areas. Holmes Reef is known for fast-paced drift diving, vertical walls, and towering bommies. And, thanks to its far-flung location, this reef is home to many large pelagics, most notably silvertip and grey reef sharks. This challenging region isn’t for newbies, but experienced divers and current junkies will find a visit well worth their while. Technical divers can expect plenty of opportunities to dive well beyond recreational limits here. And, there are a number of caverns and caves to explore. Tijou Reef is the gateway to the far north, visited first or last on every expedition in this remote region. And, if you’re diving in Tijou, you will definitely stop at the famous Shark City. This wall is a gathering point for big fish like tuna, barracuda, and trevallies. Of course, the real attraction here is the sharks. Silvertips, reef sharks, and the occasional hammerhead glide silently over massive bommies and pristine coral gardens. Like much of the far north, this area is only accessible to liveaboards, and only a few boats per year visit. So, you can expect an unspoiled reef and no other dive groups in sight. 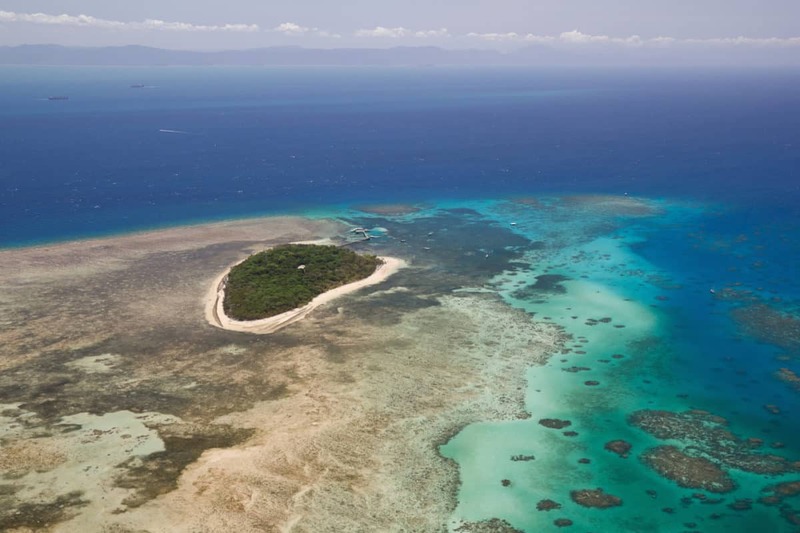 The Great Detached Reef offers some of Australia’s wildest diving. This fringe of coral sits atop ancient fossilized reef and remains one of the least explored places on the planet. Divers lucky enough to take the plunge in these remote waters can expect spectacular walls and pinnacles, teeming with life. Massive schools of reef fish and pelagics, macro found nowhere else on earth, and marine megafauna, are just part of the package. The most famous dive site here, Manta Wall, is named for its resident population of reef mantas. But, the real allure to diving in this area is taking the plunge in uncharted waters. This remote and protected marine park is seldom visited, even by liveaboards. Home to some of the healthiest coral in the region, dive sites around this uninhabited atoll are picture perfect. Expect massive schools of reef fish, plenty of macro life, and passing pelagics like manta rays. But, at Raine Island, sea turtles are the stars of the show. This is the world’s largest nesting site for green turtles, and divers have reported seeing over 100 on a single tank. This abundance attracts large predators looking for an easy meal, too. Exhausted and injured turtles are the perfect prey for reef sharks, hammerheads, and tiger sharks.